For a more natural-looking smile, our Issaquah practice uses mercury-free dental fillings. When Dr. Vanama diagnoses a cavity in one or more of your teeth, she needs to place filling material to preserve the tooth. If she didn’t do this, the tooth would eventually decay to the point of needing to be extracted. We offer several different types of filling material at Discovery Dental, including composite, gold, and porcelain. Dr. Vanama uses filling material made from plastic and ceramic compounds whenever possible. That is because they match the appearance of natural teeth more than any of the other types of material do. This enables you to disguise the fact that you have had any dental work done at all. Discovery Dental is a proud mecury-free office! The staff at Discovery Dental proudly offer metal & mercury free dentistry as a service to our patients. What exactly is “mercury-free” dentistry, you may ask? It is a method of dental treatment which utilizes advanced porcelain or composite materials to restore your teeth, thus avoiding the hazardous effects which have been associated with the presence of mercury in commonly used silver-colored amalgam fillings. Metal-free fillings improve your appearance and the overall health of your smile. Tooth-colored fillings are bonded, which means that they reinforce, rather than weaken, your precious teeth, as mercury amalgam fillings do. Mercury-free fillings are functionally superior to metal, are more environmentally-friendly, and enhance your smile’s appearance. I have been coming here for over two years and they do an excellent job cleaning my teeth. I love it!! If you want a deep cleaning and great service I strongly recommend Discovery Dental. Keeps the tooth dry by isolating it from the saliva in your mouth. Using a drill or air abrasion instrument, Dr. Vanama removes the part of your tooth that has become infected. She places layers of composite resin over the opening left by the infected tooth portion she removed. She then uses a curing light to force the wet composite resin material to harden. Lastly, she shapes the still-pliable resin so it matches the appearance of your other teeth as closely as possible. If you're wondering about the difference between mercury-free and traditional fillings, get the answers below! Why tooth-colored fillings instead of amalgam fillings? Normal silver fillings can contain upwards of 50% mercury by mass, which, when joined with other metals like copper, zinc, and tin, creates what is called an amalgam. The most minute traces of mercury in your dental restorations can be extremely detrimental to your health, and it is a well-established fact that mercury is among the most toxic naturally-occurring substances on earth. Ironically, although some dental organizations have deemed mercury fillings as a risk-free method of treatment, it is highly illegal to dispose of such mercury-containing substances by flushing them into the toilet, or disposing of them in the trash, or into a water drain. Would you really want that to rub off onto your favorite foods day and night? Your teeth can be permanently stained with a grayish discoloration as the metal tarnishes over time. Metal fillings do not always seal well, and tooth decay can circumvent the filling, thus defeating its main purpose. A report submitted to the U.S. Food & Drug Administration in 2012 stated the following: “Hg (mercury) vapor is released from Hg amalgam into human mouth air after chewing, and becomes a source of Hg exposure, as revealed by whole-body image scan and tissue analysis” This vapor can not only affect you – it can also have a detrimental effect on a developing fetus or infant. Internationally, this issue has received a great deal of visibility; successful efforts in Norway, Sweden, and Denmark in which amalgam was effectively banned from use in dental restorations underscores its importance to human well-being. I have metal fillings. Can you replace them? Dr. Maduri Vanama is a mercury-free dentist qualified to assist her patients in the Issaquah area in replacing their old mercury bridges, fillings, or crowns with safer, more attractive alternatives. Her method dramatically reduces your exposure to hazardous chemicals and compounds while performing the replacement procedure. 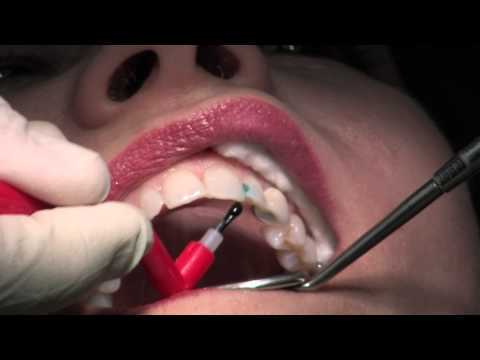 What are indirect cavity fillings? An indirect filling requires two or more visits to Discovery Dental in Issaquah. These types of fillings may include porcelain veneers created with composites or ceramics or an inlay. The latter type of restoration is appropriate when you have damage or decay on the top surfaces of your teeth between the cusps. When you come in for your first visit with Dr. Vanama, she takes an impression of your tooth with the cavity and sends it to our dental laboratory. Our technicians make sure that the color of your new inlay closely matches your other teeth. You receive a temporary inlay before leaving the first appointment. You need to return to see your dentist in Issaquah approximately two to three weeks later. Dr. Vanama removes the temporary inlay at this time and carefully places the permanent new one over the affected tooth. It may feel mildly tender for a few hours, but you should experience no other discomfort or restrictions to your normal activities. If you would like to take an active role in reducing the harmful effects of dental metals on yourself, your family, and the environment, please contact us today.